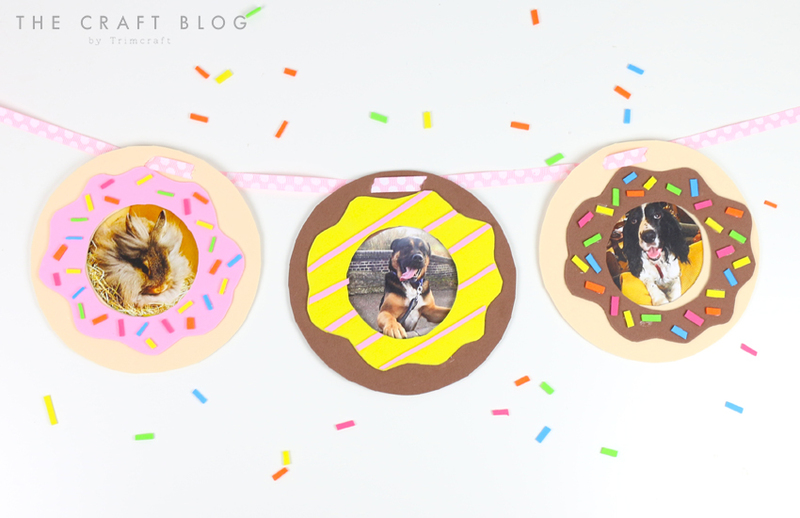 Our fuzzy friends deserve time in the spot light so today; we are going to show you how the kids can make these adorable doughnut photo frames with our free printable template! 1. 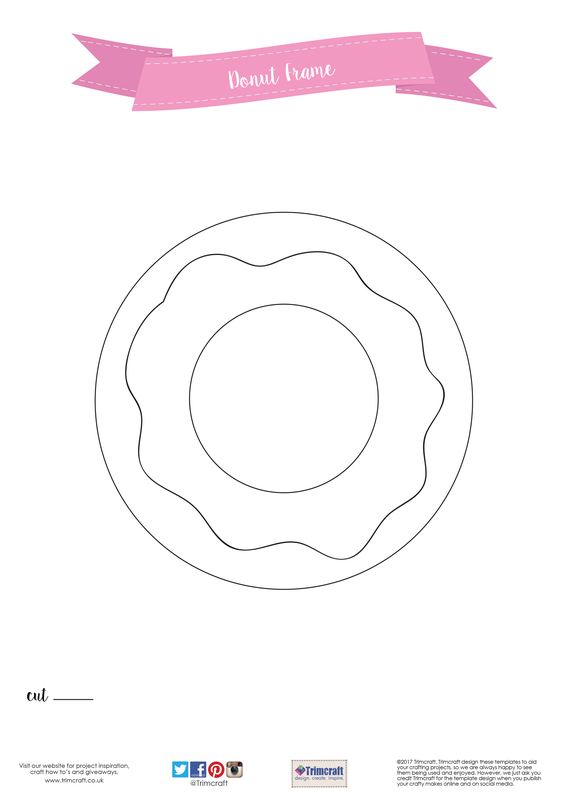 Begin by downloading and printing our free doughnut template. Cut around the edge of your template on to an A4 sheet of Dovecraft cream foam. 2. Next, cut out the small circle in the middle of your template, with the sheet of foam underneath. To cut out this area only, we suggest slightly bending the paper/ foam and cutting a small slit along the small circle line. From here, you should be able to cut out the circle from your foam sheet with ease. 3. Take your doughnut template and place it above your chosen colour. Cut around the wavy line. This will be the icing on the doughnut. TIP: Don’t worry about cutting the perfect line, icing is meant to be a little messy! 4. Use a pen to draw around the inner circle on your template on to your coloured foam. 5. As before, carefully fold the foam sheet, cut a slit and from there, cut around the biro line. 6. Cut a few thin strips of Dovecraft coloured foam. Hold them together and cut them down to small rectangles, these will be your sprinkles! 7. Glue your icing to the base of the doughnut. Then, carefully glue each sprinkle to your doughnut, ensuring to cover the icing. 8. Print out your chosen picture of your furry friend or loved one, ensuring it’s big enough to fill the doughnut hole. 9. Add glue to each corner and adhere the photo to the back of the doughnut frame. Cut a small slit at the top of your doughnut and thread through a length of Dovecraft ribbon. What’s better than displaying your favourite photos in a yummy doughnut frame? You could make a photo garland by creating more doughnuts and threading them on to your ribbon. This is the perfect opportunity to experiment with different icing! This garland will really bring a plain wall to life and you can change out the photos as your furry friends grow up! How will you decorate your doughnut frames, we would LOVE to see so don’t forget to upload them to the inspiration area and to #trimcraft when sharing on social media.